Pizza Bella - Ciao! 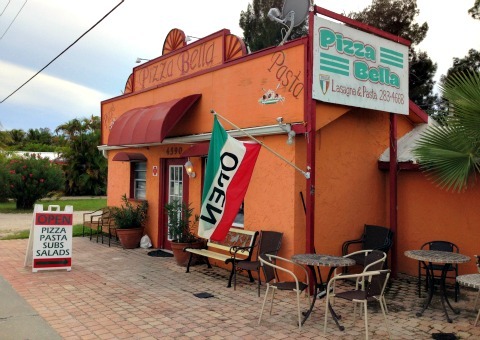 Come for authentic Italian cooking at this family-owned pizzeria when looking for Matlacha FL restaurants. I'd heard good reports from friends who had eaten at Bella, and several of them said it was some of the best pizza they'd ever had. I was intrigued .......... besides, just give me an excuse to go out to Matlacha and I'm there in a flash! Located on the main street through the island, it's easy to find. There are parking spots behind the restaurant, accessed by a narrow driveway on the side of the building. You can enter Bella through a back door from the parking lot or from the front, on the street. 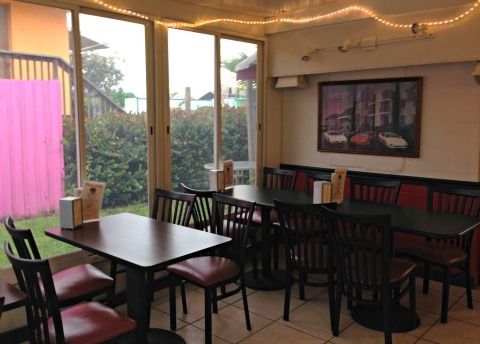 Along with some cafe tables outside, the front dining room has a few tables, a small bar ........ and a front seat to watch the pizza being made by the owner herself, who has 30+ years experience in the restaurant business and a previous restaurant in Italy. The back dining room has several tables in a cheery and bright room with lots of windows that was decorated with twinkly white lights. 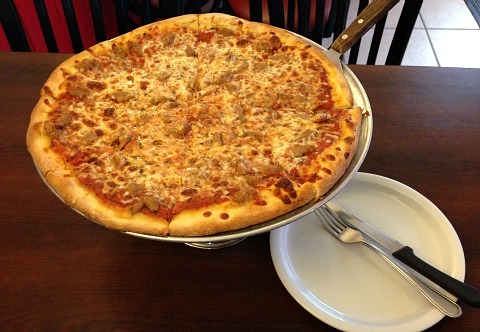 I was in the mood for sausage pizza, one of my favorites, so that's what I ordered. Mmmmmmmmmm the pizza was very good ....... it had lots of sauce, a different yet tasty combination of cheeses that I couldn't quite figure out what they were, and a thin crispy crust. I loved the crust! Even the end of the crust was delicious and very crispy-crunchy. I was happy to see that the sausage was crumbled rather than sliced, I think it tastes better that way! 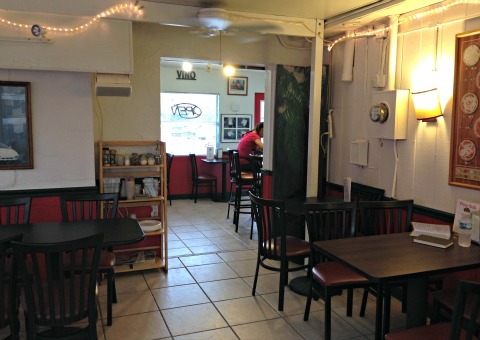 You can also order subs, salads, and dinners such as lasagna, ravioli, eggplant, spaghetti, and sides and desserts. Beverages include water, soda, beer, and wine. There are TV's in each of the dining rooms, I'm guessing you can catch a game while chowing down. Call ahead for take-out. They are open 7 days a week ........ off-season from 4-9PM and during season ......... Monday - Wednesday and Saturday 11-9PM, Thursday and Friday 11-10PM, and Sunday 4-9PM. Make sure you add Pizza Bella to your list of Matlacha restaurants to try!